Some days we all just need some cookies in our lives and in our kitchens. Cookies made with butter and old-fashioned all-purpose flour. 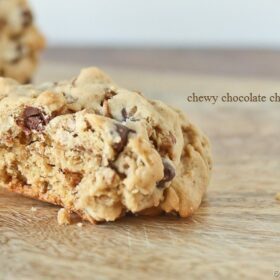 Chewy, chocolate filled cookies that are perfect with a glass of milk. This recipe meets all the above requirements. 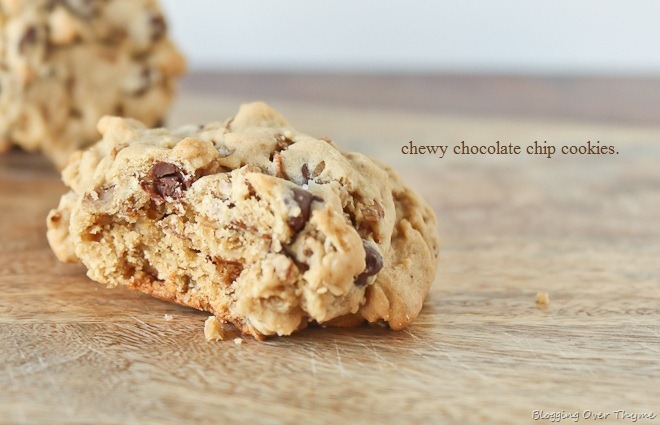 The key to chewy cookies? Dark brown sugar and according to many sources out there, a small addition of cornstarch to the batter. 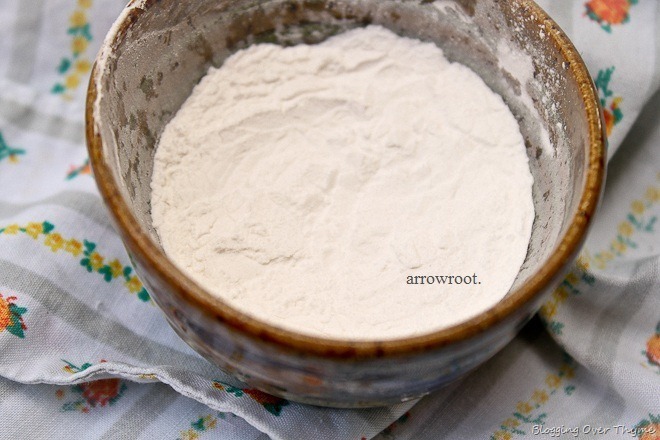 Instead of using cornstarch, I used and experimented with a similar, but more natural and less processed alternative: arrowroot powder. Arrowroot powder, made from a rainforest-indigenous herb, has a more neutral taste and thickens at a lower temperature than traditional cornstarch. Preheat oven to 350 degrees Fahrenheit. Line a large baking sheet with parchment paper (or Silpat). In a large bowl, beat together softened butter and sugars with mixer until creamy and fluffy. Add egg and vanilla, mixing until smooth. In separate bowl, whisk together flour, baking soda, salt, arrowroot powder (or cornstarch). Slowly add to creamed butter, sugar, egg, and vanilla mixture until it just comes together. 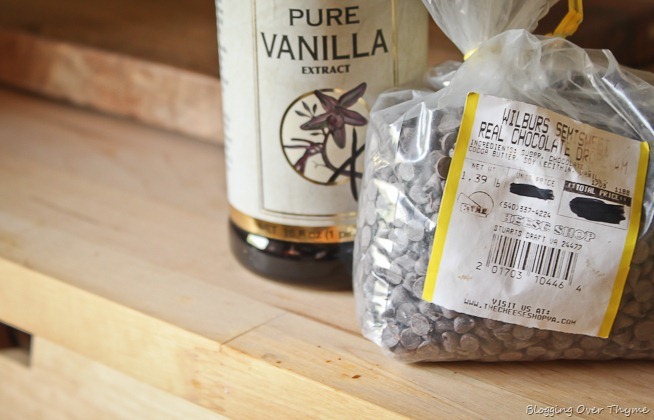 Stir or slowly mix in oats and mini chocolate chips (or regular). Drop by tablespoons onto baking sheet. Press down slightly with finger. Bake for 8-10 minutes until lightly browned on edges. Let cool slightly on baking sheet, before allowing to cool on rack. 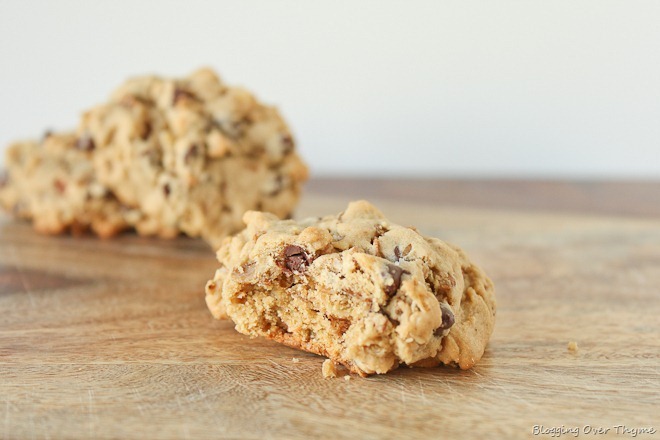 Since this recipe makes 18-20 cookies (depending on desired size), you will need to bake two batches. If you would prefer not to, just bake 12 and freeze the rest of the batter for a quick treat on a rainy day. Last, but not least, enjoy!